These soft colors have a wintry feel to them, so Barbara created a peaceful scene for this lovely holiday card. 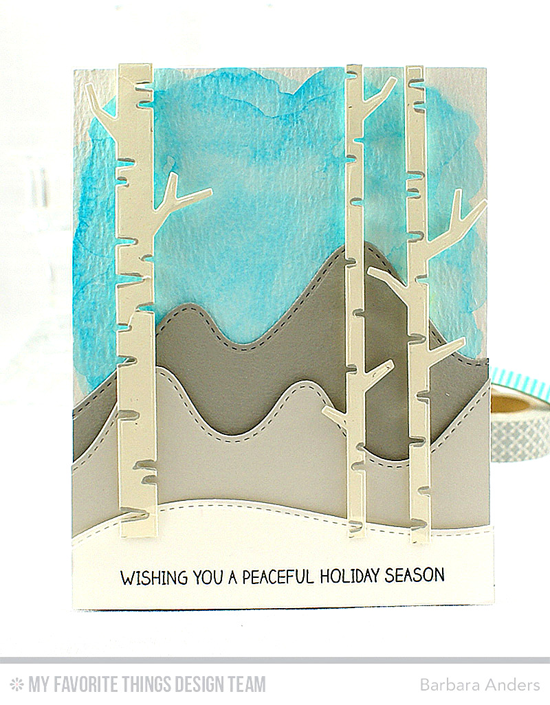 Majestic gray mountains are the perfect backdrop for our gorgeous Birch Trees Die-namics. Keeway's take on Color Challenge 52 is completely different! 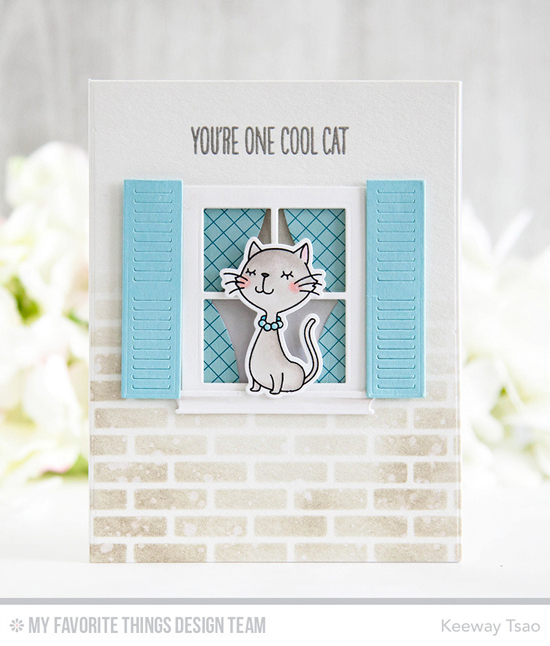 She features a pretty kitty from our Cool Cat stamp set in a window with lovely patterned curtains. It kind of makes me want Berrylicious shutters on my house! This mostly neutral color palette really gives the chance for one color to shine. 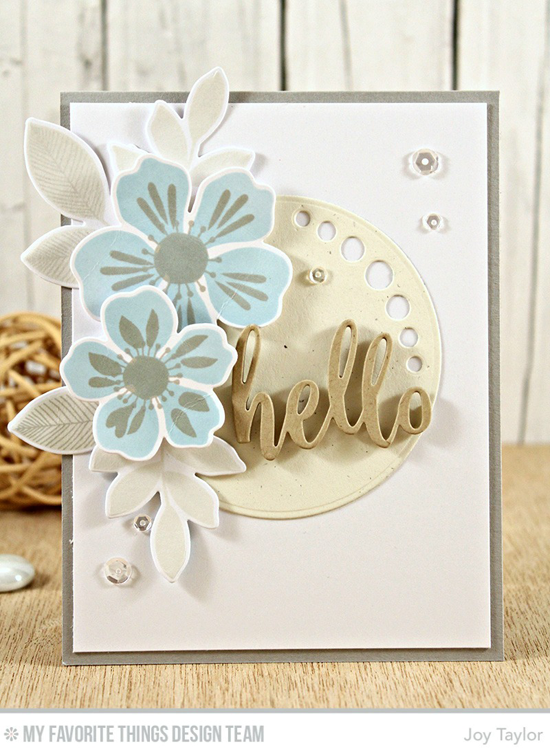 Joy does just that by using Berrylicious for the flowers from the Flashy Florals stamp set. Wouldn't this card be a delight to receive in the mail? Congratulations, Jeanne Jordan! You are the randomly selected winner of the MFT Color Challenge. You can view all the entries from the last challenge HERE. You have until Wednesday, September 7th, at noon EDT to add your link and be eligible for the prize of up to $20 in MFT Cash. Winners are chosen at random, so everyone has a chance! The prize is a $15 Gift Voucher to My Favorite Things, but if you use MFT stamps and/or dies in your project, you’ll receive an extra $5. I'm in love with that kitty card! It's ADORRRRRABLE!! !